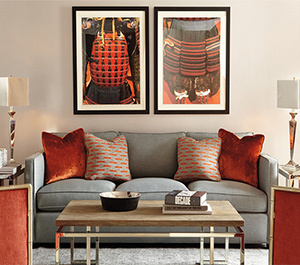 2016 will be the most talked about year for interior design trends. No matter your style, these interior design trends for 2016 can transcend your home into a magnetizing space that will embody uniqueness and timeless style. 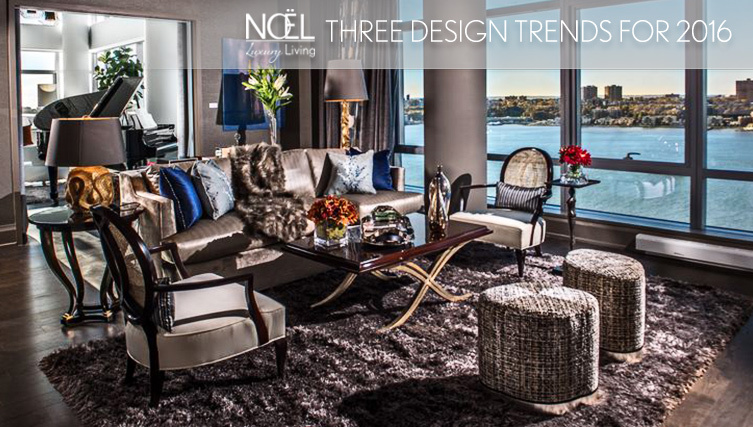 Noel Furniture offers these three design trends to watch for in 2016, as well as many more trend ideas and interior decorator consulting ideas at their Houston location. This tonal interior design trend has a style that is refined, sophisticated, glamorous, clean, symmetrical and organized. Textured materials like wood, animal skins, leather, glass, marble, tweed and silk are all used to create a very bold and strong look. Base colors are white and shades of grey with minimal accent colors. The true beauty of this style is drawn by a strong reference to the Art Deco period that flourished from the 1920’s through the 1930’s and with its bold, elaborate and symmetrical patterns and its heavy, rich settings. Mix holiday and seasonal colors like marsala, tea rose, terracotta, olive oil, copper, rust, amethyst orchid, and cadmium orange with base colors like white, beige, sand and dark grey. All of these combinations bring authenticity and purity to the look while giving off a calm and glamorous energy. The honeymoon period for working on your laptop in bed is officially over. 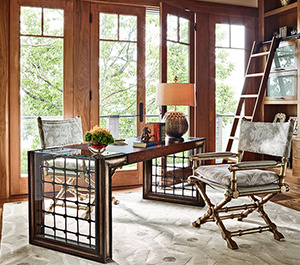 In 2016, we’re reserving the bedroom for more important things, like new styles of the once-humble desk. This refined style is fresh at the same time with a clear reference to our active, urban lifestyle. 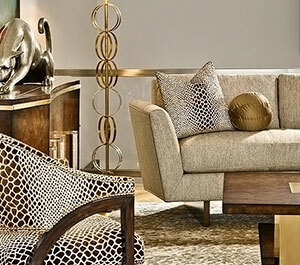 Noel Furniture, located in Houston, TX, has a staff of experienced interior decorators available to help integrate these interior design trends into your home for 2016 with these beautiful pieces and many more from top brands in the industry. Ideas may also be viewed in Noel’s website gallery. Contact Noel Furniture today for a consultation!